Q1: It’s been a while since we last spoke, can you talk us through some of the more recent developments for the company? For a while now, we have been able to make good use of school champions, usually these have been past or present pupils and their families who wish very much to spread the word about the huge benefits of online schooling. 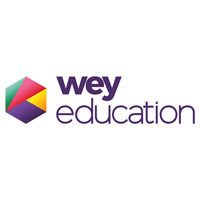 This year, we talked to many, perhaps, more high-profile brand ambassadors who wish to champion Wey Education’s services but we felt we hadn’t really come across the right fit.